Colonic stenting can be used as a temporizing measure to help bridge the patient to surgery for optimal timing. Although primary CRC is a common cause of LBO, other etiologies should also be kept on the differential until a definitive diagnosis is made. Patients can have metastatic disease within the colonic lumen causing obstruction, such as those from pancreatic or gynecologic malignancies.2,3 Adhesive disease is significantly more associated with SBO but can also contribute to LBOs. Prior episodes of diverticulitis, abdominal or pelvic radiation, and inflammatory bowel disease (IBD) can predispose the colon to stricture development that can present as an LBO. 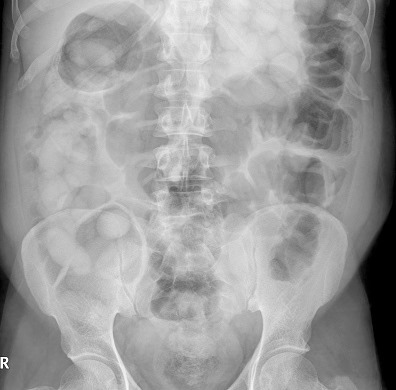 Malignant colonic obstructions can be diagnosed with imaging studies such as obstruction series or computed tomography (CT) of the abdomen and pelvis, though the latter is more specific; CT also has the advantage of identifying metastatic disease. Once a suspicious obstructing colonic lesion is identified, endoscopic examination is often pursued both to confirm malignancy and to offer temporary decompression via stenting. It may also be valuable to obtain both surgical and oncologic consultation to assist in management. 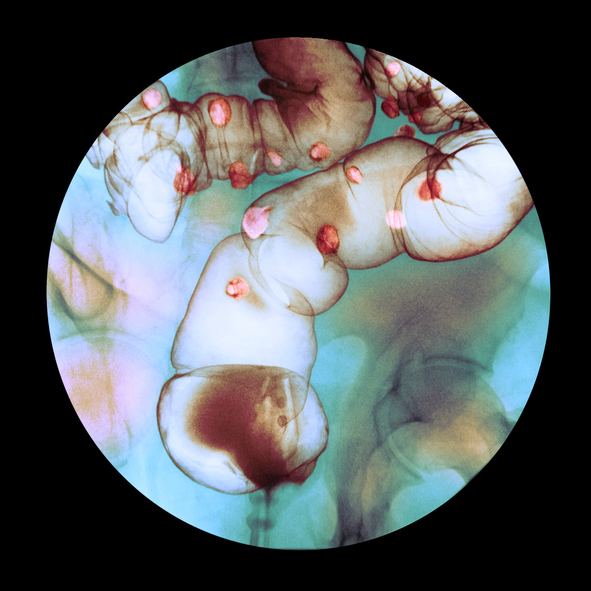 The risks and benefits of endoscopic diagnostic and therapeutic examination should, furthermore, be discussed with the patient before proceeding. The typical risks of infection, bleeding, and perforation may be higher in patients with obstructing CRC. It is beneficial to use carbon dioxide instead of ambient air for insufflation to reduce the risk of perforation during the exam. Complete bowel preparation can also be challenging in patients with more proximal lesions and if they are completely or near completely obstructed. Patients with more distal lesions may not require a full bowel preparation and need only several enemas prior to the procedure. During the endoscopic exam, biopsies can be taken of any suspicious mucosa to assist in diagnosing primary vs metastatic disease. Endoscopy can also help to determine whether the suspicious lesion is intrinsic or extrinsic. Then, pending the clinical scenario, colonic stenting can be considered for those lesions that appear amenable. Colonic stenting can be used as a temporizing measure to help bridge the patient to surgery for optimal timing. Stenting can also be used as a palliative measure in those patients who are not surgical candidates. If colonic stenting is considered a reasonable option prior to starting the exam, it is helpful to have fluoroscopy available to aid in the placement of the stent.